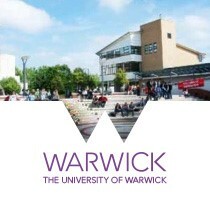 The University of Warwick put CLOCS implementation high on the agenda at their November construction supply chain briefing, an event attended by over 120 companies where Warwick also revealed further details of its £1 billion capital build programme. The University is now requiring compliance with the national CLOCS Standard to ensure all parties take immediate action to protect students, staff, visitors and the wider community from the risk of collision with HGVs servicing its 10-year capital build programme. James Breckon, Director of Estates, confirmed his commitment to drive positive action, saying “We are implementing the CLOCS Standard on our capital programme because it provides the consistent framework for collaborative action by Warwick as a progressive construction client, by our principal contractors and their sub-contractors to ensure all HGV journeys required to deliver/collect materials and plant to our projects are always operated safely and efficiently.” Warwick is one of a number of universities across the UK developing their CLOCS implementation plans to protect Vulnerable Road Users on and around campus. TfL has launched the next phase of consultation on a new HGV Safety Permit as part of the Mayor&apos;s Direct Vision Standard? The Direct Vision Standard (DVS) forms part of The Mayor, Sadiq Khan, and TfL’s Vision Zero approach to reducing road danger. The DVS categorises Heavy Goods Vehicles (HGVs) on the level of the driver’s direct vision from the cab. The proposed permit scheme is part of the DVS proposals and would require HGVs over 12 tonnes to hold a Safety Permit to operate in London from 2020. TfL would like your views on the Safety Permit Scheme, which could include safety systems such as sensors, visual warnings and comprehensive driver training. 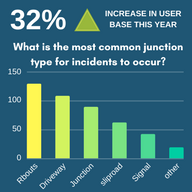 FORS Collision Manager reported that 29% of recorded incidents happen at roundabouts compared to 71% at other junctions. FORS Smart Driving e-Learning module which focuses on the basics of road safety and explores some of the more advanced techniques of concentration, observation and anticipation can help to mitigate against the main reasons for driver error. 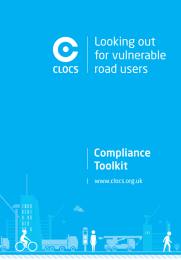 FORS Toolbox Talks, aligned to different requirements in the FORS Standard, are available for managers to download to raise drivers’ safety awareness, perception and hazard recognition in a number of key areas including around Vulnerable Road Users. Last Thursday, the Mayor of London, Sadiq Khan, launched a consultation on the next stage of his ambitious plans to help tackle London’s dangerous air pollution which contributes to thousands of early deaths in our city each year. The Mayor has already announced that the Ultra Low Emission Zone will be introduced in central London over a year early in April 2019, replacing the T-Charge with an even tighter emission standard. expand the central London ULEZ up to, but not including, the North and South Circular Roads for cars, vans and motorcycles from October 2021. These proposals will reduce harmful emissions across London and help clean up our dangerously polluted air. It is part of a package of action the Mayor is taking to improve London’s toxic air quality, including significantly increasing funding spent on tackling air quality (over the next five years) and cleaning up our bus fleet. For more information or to complete the online questionnaire visit tfl.gov.uk/airquality-consultation. The consultation will close on 28 February 2018. The Mayor’s Cleaner Vehicle Checker is a combination of tools to help individuals and businesses make more informed choices when buying new cars and vans. New vehicles will be given ratings on a scale of A+ (best) to H (worst) based on the “real-world” NOx emissions they produce on the road. Businesses are encouraged to adopt the cleaner vehicle rating system as part of their procurement process; this will help to ensure any diesel or petrol vehicles adopted into fleets are as clean as possible. The fleet checker service is also beneficial to businesses interested in learning more about their emissions performance. By visiting the Cleaner Fleet Checker page, fleet managers will be able to download, complete and submit a template with their current fleet details to receive a free analysis report from Emissions Analytics (partnering with the GLA). The report will show the average emissions performance of a fleet if all the existing cars and vans were replaced with the latest Euro 6 models and will include different options to improve on this. 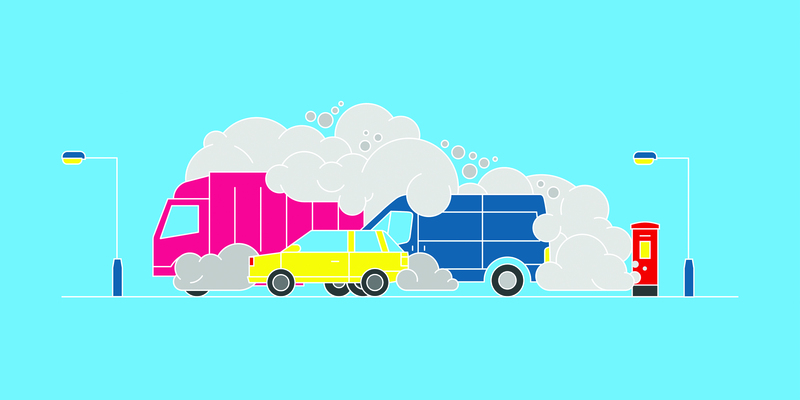 It will also show the individual ratings for each car and van in the fleet, so that fleet managers can identify their most polluting vehicles. This means they will be able to see how their average NOx rating could be improved if, for example, all their existing H-rated vehicles were replaced with cleaner models. Click here to read the press release or go to the Cleaner Fleet Checker page to find out how your fleet is performing.